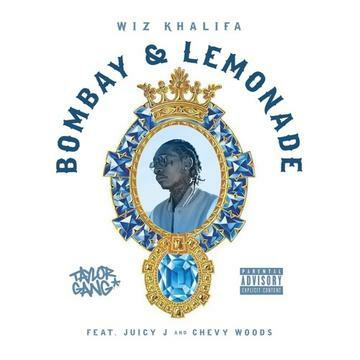 Wiz Khalifa teams up with Chevy Woods & Juicy J for "Bombay & Lemonade." Last week, Wiz Khalifa celebrated the 4-year anniversary of O.N.I.F.C. by digging into the vaults and surprising fans with 3-unreleased songs from its recording session, and now he’s back with something else for us. To celebrate “Wiz Khalifa Day” on Monday (12/12), the Pittsburgh native decided to come through & drop off the new song “Bombay & Lemonade” featuring fellow Taylor Gang rappers Chevy Woods & Juicy J. Take a listen to the ID Labs & Ritz-produced cut and let us know what you think. Who laid down the best verse?